According to the European Backpacker Index for 2014, Bucharest is the most affordable (cheapest) capital city in Eastern Europe. And Bucharest can keep you busy for days once you have tasted its inner flavors. As a Bucharest tourist you will need only 20 Euros to 60 Euros a day to enjoy the city’s attractions, Romanian dishes, night life, events, and a good bed in-between. So, the myth is true, Bucharest is a cheap destination but what are the other reasons to visit the Romanian Capital. We will try to resume for you some of the Bucharest attractions, keeping in mind your budget travel. No city is ever complete – change is the nature of the urban beast.Today’s Bucharest is an unfortunate mix between different architectural influences, from the Middle Age to French architecture, to communist’s blocks of flats and to misunderstood modern urbanism. Bucharest may be broken, in some opinions, but the city still manages to host an impressive portfolio of events from cultural to wild themed parties. One of the main attractions for the Bucharest tourist, highly exaggerated in our opinion, is the Palace of Parliament (Casa Poporului) the second largest public building after the Pentagon, and a reminder of the communist regime. You can visit a part of this colossal building entry is 15 lei/ 3.3€. Within the Palace of the Parliament is also located the National Museum of Contemporary Art, which could be considered the only good part from the 1100 rooms of this architectural mistake. Entry is 10 lei/ 2, 22€. You can drink a coffee or a beer on the 4th floor Museum Terrace or just admire the view. For some unknown reasons the Romanian Church wants to overcome the communist architects and build near the Parliament Palace a National Cathedral. It will be for sure another tourist attraction in Bucharest they claim. So go see the holly construction site ;). If you are hungry you should take a break and try some Indian food at Taj restaurant, Happy – Hour between 12:00 – 17:00 every day. Nicknamed “Colosseum” the Bragadiru Palace is a place to visit when you’re in Bucharest. This attraction site in Bucharest is open to public access on every evening on weekends - Friday to Saturday. Bellu Cemetery is another free Bucharest attraction. The graves here are true works of art. You can take a walk through its alleys and enjoy the silence with a beer…..
Near the cemetery, in Carol Park you should go and see Vlad Teps Castle. It is a replica of the Romanian prince castle from Poenari. Unfortunately this alluring site of Bucharest is open to visits once a Year on October 25 but the park deserves a visit also. Near the park you can visit the Technical Museum Dimitrie Leonida. In the Unirii Square area you can also explore the Jewish part of Bucharest. Coral temple on Sf. Vineri St. is usually the busiest Bucharest synagogue. The red brick temple was built in 1857. Jewish History Museum on Mamulari St. is an old synagogue built in 1850 is free to visit Friday from 09:00 to 14:00, and Sunday from 09:00 to 13:00. The main display is a memorial that commemorates the 350000 Romanian Jews sent to their deaths during the Holocaust. The Great Synagogue remains the most important Jewish building in the country. It was built by the Ashkenazi Polish Jewish community from 1845-1846. Another thing that is great about Bucharest is that the city is full of parks where you can take a break and relax free of charge. Cismigiu Park, opened since 1850, where locals play chess and chat on benches, is quite amazing and positioned in the center of the city gives you the opportunity to rent a boat in the summer or skates in the winter. 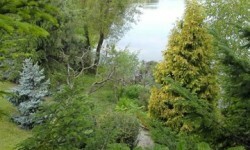 Herastrau Park remains one of the most loved parks by the locals in Bucharest. 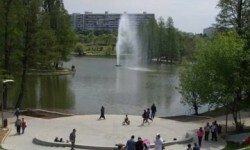 Situated in the North part of the city it is the biggest park in Bucharest. 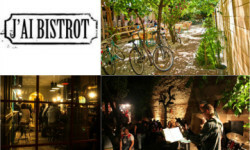 There are a lot of things to do in Herastrau, so you must reserve it at least half a day. You can visit the Village Museum; founded in 1936 it covers some 15 hectares on the shores of Herastru Lake, it is the third open-air ethnographic museum in the world entry is 10lei/ 2, 5 Euros; take a boat on the lake, have a picnic or a bicycle ride. For refreshment try Baraka Terrace in the summer. Considered Bucharest's most fashionable and historic avenue Calea Victoriei is a road that probably will take you another half day to explore, but is also a free walk and it will worth the trouble. Do not forget to bring your camera. Starting from the Victorie Sq., where you can visit the Grigore Antipa Museum, or the Pesant Museum, you can walk down this boulevard and find: the George Enescu Museum, hosted by the Cantacuzino Palace, a beautiful building in Art Nouveau style; the Stirbei Palace where you can enjoy a beer and rest for awhile at the Eden Club’s garden or at Green Hours, one of the „oldest” jazz clubs - and probably the most respected independent theatre - in Romania, which is nearby. After this short break you can continue with the Romanian Athenaeum, circular concert hall built in 1888 in neoclassical style, and the National Museum of Art hosted by the Royal Palace built between 1882 and 1906 by the same architects who built the Peles Castel, and situated in Revolution Square (the dramatic setting of Ceausescu's final moments in power). The museums admission fee is around 20 lei/ 5 Euros. 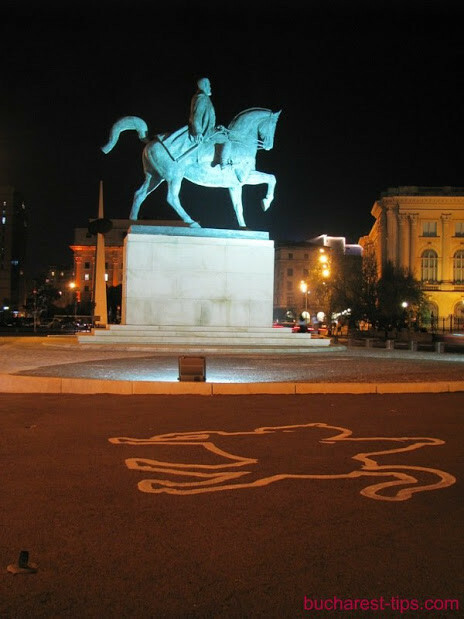 On your way to the National Museum of Romanian History, where you are about to meet the Roman Emperor Traian, do not miss the National Military Circle (Cercul Militar) with its beautiful Sarindar fountain, its restaurant and terrace. Cheap beer and good food, old times atmosphere. And if you want to meet some hip locals you must try Control Club terrace, which is nearby. We love it. A walk in the Historic Centre or Old Town is also cheap, just keep in mind that the Old Town bars and restaurants are not. This could be a busy day in discovering some of the Bucharest attractions if you are on the run, but we hope that you will spend more time in our city and let us reveal to you all of its wonders in this new series of articles. By the way, if you are not a fan of side walking you can still enjoy a day in Bucharest and take the bus. Bucharest has double-decker, open-top buses for tourist which run from 10:00 to 20:00.